Ziggurat – definition : an ancient structure built by the peoples of Mesopotamia in the form of a pyramidal tower. Why is it that these ancient relics are all the same basic shape? 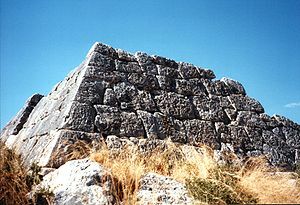 A pyramid. As you can see from the list below, they are found all over the globe. Built by ancient civilizations, who were mainly unaware of the others existence, whether because of time period or geographical distance. So who, or what, influenced the shape? Of course there are as many theories as pyramids and you are free to investigate for yourselves. Although, I would love the instigators to be visitors from outer space, I don’t really think that is what happened. I would like to share my own theory (such as it is). Saqqara, Egypt – Pyramid of Djoser, Giza, Egypt – Great Pyramid of Khufu and Pyramid of Khafre, Chavin de Huantar, Peru – Chavin Temple Complex, Teotihuacan, Mexico – The Pyramid of the Sun, Meroe, Sudan – The Nubian Pyramids, Puebla, Mexico – Great Pyramid of Cholula, Ur, Irag – Ziggurat of Ur, Peten, Guatemala – Mayan Pyramids of Tikal and Rome, Italy -Pyramid of Cestius. Each civilization wanted to be closer to their gods in the sky, so what is the easiest way to do that? Build a structure that many people can ascend and reach toward the sky. Cube or tower shaped structures would be too difficult to ascend but a gradually tapering shape would be the simplest. Thus a pyramid. What are your thoughts on the instigators? 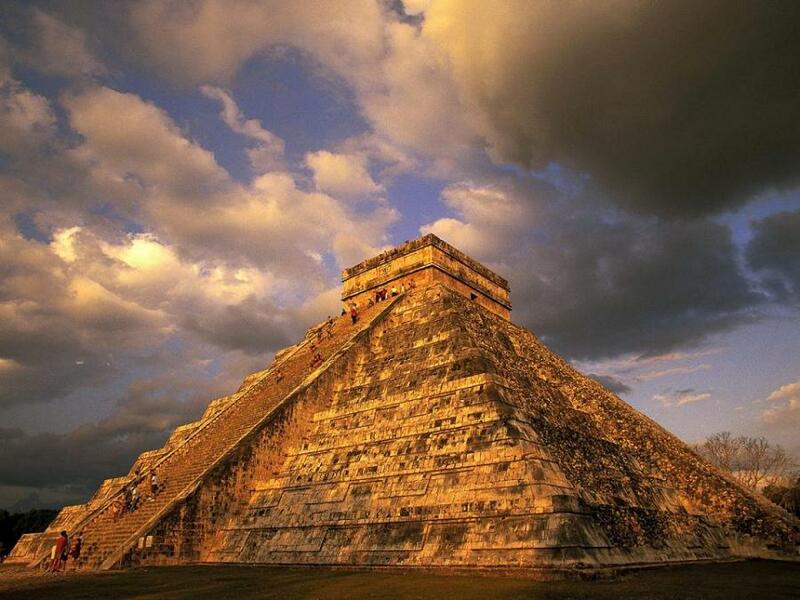 Have you ever visited a pyramid?